“I” Is For iPod (51/365 v2.0) – Annoyingly Boring? 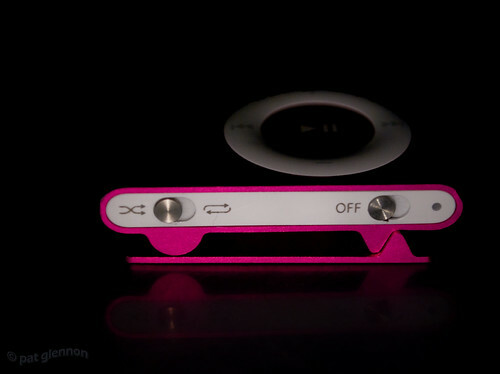 No, I don’t own a hot pink iPod shuffle. I don’t own and iPod at all. If you know me odds are you probably know I have a bit of a chip on my shoulder about iPods. Too much hype and too many other products out there that are equal or better at doing what an iPod does. But I digress. This is my daughter’s. She got it for Christmas this past year. I seem to be coping well with it in the house. I agree with you 100%. My wife swears that I’m a contrarian, just over the Ipod issue alone. The pain you must have gone through to shoot that shot, PG. We have five of them in our house. Sorry.